Back when I was in my early high school years, I was somewhat socially awkward. Luckily, while I still was figuring out how to engage in a real conversation without breaking a sweat or having a weird sound escaping my mouth, science was being awesome and introduced the Internet to an even wider audience. Cable connections shoved aside the slow 56k connections, and my dad decided that it was time to hook us up to the World Wide Web. It must have been somewhere around that time where I forgot about improving my social skills and decided to live a big part of my life online. The Internet had a magical hold on. The bare thought that I could find whatever I wanted by simply typing in a browser was amazing. Before I knew it, I was visiting forums, chatrooms and fansites, browsing from the moment I came back from school to the moment my mom told me that my eyes would turn square if I stared at the screen any longer. One of the many beautiful things I found on the Web was the RPG Maker and the community that surrounded it. Making my own SNES-graphics RPG’s without any programming knowledge? Well, sign me up! Well, one thing lead to another, and before I knew it, I had become a central person in the really tiny Dutch community of “Makers” (believe me, it was so small that, technically, everyone was a central person), while also keeping in touch with the huge German and gargantuan international community. Mind you, I never finished making a single game. I just played around: I tried out something nifty here and there, fiddled with an idea one day just to cast it aside on another and just had so much fun talking with others about the complexities of game design. Though I was barely 14, I already had learned so much about creating good-looking environments, the conflict between gameplay versus story and how the things I was doing were nothing compared to the big fish in the gaming industry. It was humbling, but also valuable learning experience. However, I grew up and my interests changed. Without actually putting any effort into it, I had become able to interact with “real” people, and before I knew it puberty hit me with all its power. The RPG Maker and the community around it became a thing of my past, and I moved on to bigger things…until just a day ago. 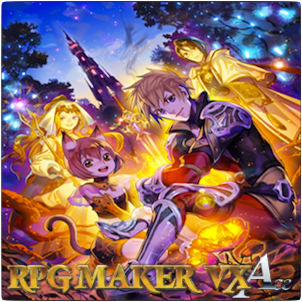 That’s when I saw it: RPG Maker VX Ace on sale on Steam! I knew about the latest addition to the RPG Maker family for a while, but the hefty price tag had put me off. Now, I was able to get it for a measly twenty bucks! I forked over my cash, and before I knew it, I was game-building like in 2002! Suprisingly, my biggest catch in the Summer Sale so far hasn’t been a game, but a piece of software enabling me to make games. I’m not saying I’m gonna create a full game this time around, but you can be sure I’ll spend some time in that fancy new RPG Maker. I mean, who can resist a combination of nostalgia and the feeling of being a real game designer? I certainly can’t.